 Mary Brooks organises a safari to search for her father who has gone missing while searching for treasure in the lost city of Zar. She is assisted by her boyfriend, Bob, and two unscrupulous safari bosses, Moran and Herbert. Mary meets a friend of her father's, Tarzan, an inarticulate wild man, who gives her a note from her father explaining his destination. 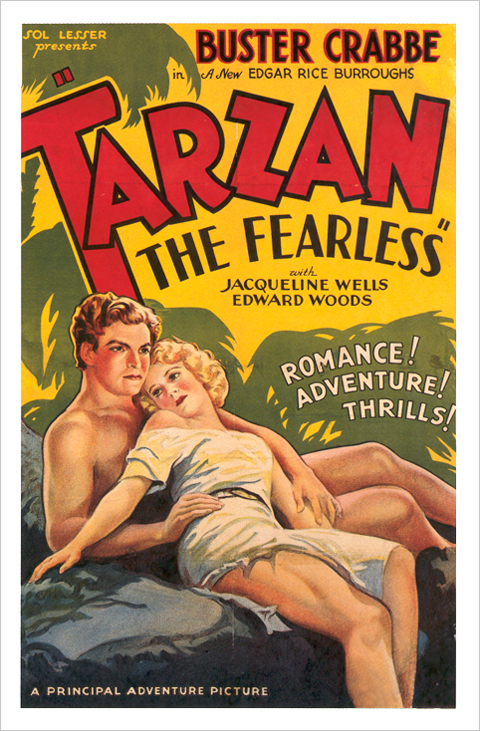 Mary is kidnapped by Abdul, an Arab, and his band, but she is soon rescued by Tarzan. Moran and Herbert also hope to collect a 10,000 pound reward posted by the executors of the Greystoke estate for confirming the existence or death of Tarzan. They attempt to reach the treasure of Zar but Moran is killed by a lion. When Herbert reaches Zar he steals a sacred emerald from the main idol, incurring the wrath of Eltar, the high priest, who swears vengeance upon the foreigners. Tarzan's animal friends rescue him from a lion pit he has fallen into and and he races to Zar where Mary, her father, and her friends are held prisoner. 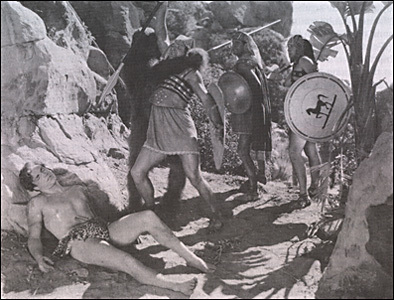 Tarzan frees the prisoners and fights Herbert to the death. 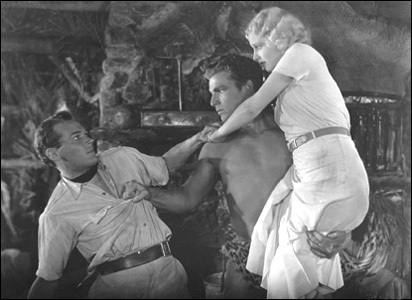 Mary decides to stay on in the jungle with her father and Tarzan.  The embedded Youtube video of the opening scenes of this film was provided by Youtuber ethetoy. Many thanks!  The embedded Youtube video of Cheeta's jungle dance was provided by Youtuber HoughsVideos. Many thanks!  Rohinton Ghandi's email inspired me to include the credit for Jiggs the chimpanzee, who played Cheta. Many thanks, Ro!